Good morning, Stephanie here. It's a bitterly nasty day out today but I've got Christmas on my mind. 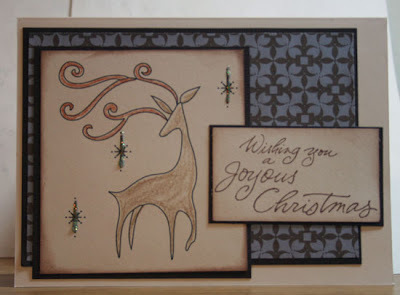 I used the new Christmas digi papers and reindeer for my card this morning. Now, I'm not sure this qualifies for Create Magic Monday, but I'm not one for using digi papers that often because I never know what to do with the left over paper I print - it seems to be so wasteful. Well, this time, I decided to play around and I printed the digi paper in a 4"x6" format so I wouldn't waste ink or paper. This made it so much easier to focus on creating my card, and not worry about waste!!! I then backed the digi paper with some cardstock to help it stand out a little more. The reindeer was colored with Prisma pencils for a rugged look and I added some stickles for a little shimmer around it. 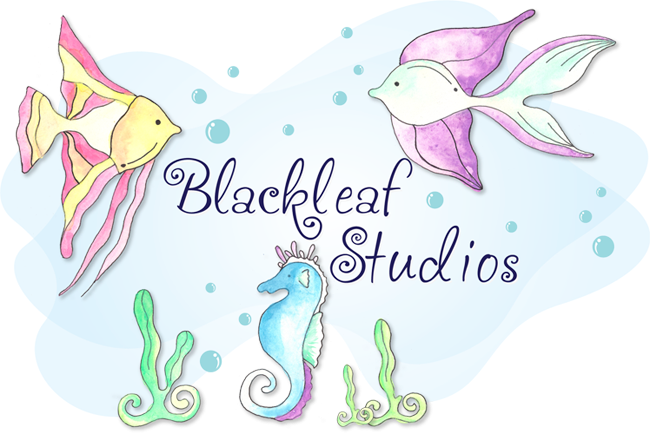 Why not check out all the exciting digis Blackleaf has to offer - you'll be glad you did!!! !